Фотобанк Rusmediabank – лицензионные Фото, Видео, Музыка - D letter logo hand drawn with bold brush. 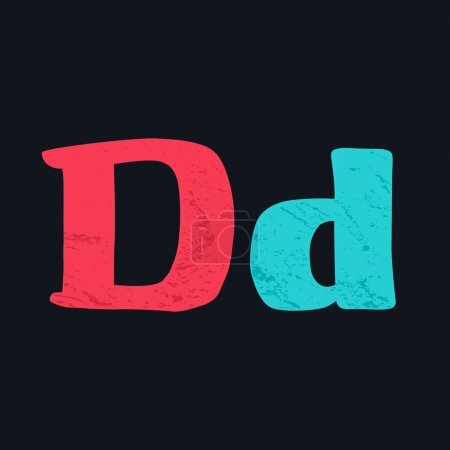 D letter logo hand drawn with bold brush. Manual tracing with clean lines and grunge texture. Vector elements for T-shirt, label, badge, card or poster.